When Do Patients Start Cardiac Rehab After Surgery? I just received an interesting question from Bill about heart valve replacement surgery and cardiac rehabilitation programs. Although Bill’s note ended with a question about cardiac rehab, there is much to learn from his email. Specifically, Bill addresses several issues that can arise during the early recovery from heart valve surgery – dizzy spells, use of a recliner, disappointments and, most importantly, over-exertion. That said, please do not rush your recovery. As we have discussed before, healing is a unique patient process that takes variable amounts of time. 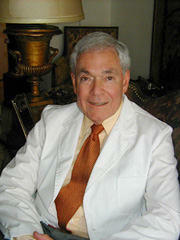 As for cardiac rehab, I encourage everyone – young and mature – to locate a good cardiac rehab program… before surgery. Now… Specific to Bill’s question, I started my cardiac rehab program 10 weeks after surgery. I went to cardiac rehab 2-3 times a week and really, really, really enjoyed it. I made several new friends (including the nurses) and, most importantly, my chest pain went away. Writing on behalf of my wife, Kelly, whose written English is not great. We live in Paris, France, where in June of last year Kelly had aortic valve replacement surgery. We had fortunately discovered this blog while researching the subject prior to surgery, and followed your advice to find a cardio-rehab centre and book it before surgery. Now, here in France they do things differently to in the US: Kelly was in intensive care for five days followed by ten further days of hospitalisation. Fortunately for us, the French health care system is quite simply much better than yours…there’s no sending people home with a heart-shaped cushion to cuddle after three or four days! Kelly’s two weeks of hospitalisation went very well; she was a star patient and was very quickly up and about, climbing a few stairs etc. The problems started, however, when, fifteen days after surgery, she was transferred by comfortable ambulance by two lovely North-African guys to the rehab centre. Her first day there her heart started racing at 150bpm and they had to medicate her to calm it down. From then on, her two weeks of rehab were a complete waste of time, because it was obvious that the staff preferred to keep her medicated and wired up in bed, rather than risking letting her take advantage of any of the rehab classes and gym. Result: she left there much more depressed than she went in. It was only thanks to me insisting on getting her up and about for walks etc. that she regained her courage. An echography two months later revealed that the new (stentless pig) valve was still much too narrow and it was up to me to get her to a private gym and out for walks etc. Thankfully, now the new valve has expanded and is in good shape and she’s absolutely fine, enjoying a new lease of life. My reason for telling you all this is to make sure you all know to stipulate in advance tp your rehab centre that they shouldn’t chicken out on your rehab if you get any fibrillation! We wish all of you waiting for valve replacement “bon courage”: it’s not as bad as you think! I had irregular and rapid heartbeats starting about a week after my mitral valve repalcement. At 6 weeks, I had a cardioversion which helped me to feel much better pretty quickly. I started rehab about 3 weeks after that at 9 weeks. It could have been a week or so earlier- but paperowrk and scheduling intricacies intervened. When I whined about waiting, I was told that 8 to 9 weeks was pretty normal, and to be sure and walk daily in the meantime. I have found that pushing myself – even to have fun- backfires, as I do pay for it the next day or two. Hopefully I will get this lesson soon. First of all, give yourself plenty of time to heal. I felt pretty bad for about 3-4 months but had the idea that I should be feeling stronger by 2 months after surgery and pushed myself too hard to get back into my normal routines. It set my healing back at least a month, so I advise you to be patient because I didn’t really feel better until at least 6 months after surgery. Don’t rush yourself. As for cardiac rehab, I started after 6 weeks and was sorry about my choice. I chose a place that had gotten excellent reviews, but I had never gone to see what it was actually like. I’m sure there are some wonderful programs, but go and see for yourself. The place I went to gave out evaluation forms during the program to be filled out on the spot, so people felt obligated to give them the best ratings. I’d imagine that a good program can do wonders, but go on your own schedule with that and with expectations of yourself. With regard to cardiac rehab,my husband started 10 weeks after aortic valve replacement; our cardiologist felt that any time earlier would be useless because you are simply too weak. Unfortunately, we had a major setback after the 9th visit (3 times a week schedule) with a major nose bleed on Coumadin requiring 6 days in the hospital and surgery. A second nose bleed followed. Since the original prescription for cardiac rehab read 8 weeks (3 times a week) meaning 24 sessions, it appears that Medicare is counting consecutive weeks rather than sessions. They told my husband that today would be his last session, which is session # 10. While he has found the sessions to be very useful, a good treadmill at home used every day will accomplish the same thing. I had my Ross Procedure on Dec. 4, 2009 at Mt. Sinai Hospital. I like to think that I began my cardiac rehab long beforehand though as I have been active all my life. I asked my surgeon, Dr. Paul Stelzer, about cardiac rehab in November when I first met him. He told me, “You’re not going to need it, you’ll do the rehab on your own.” Fortunately for me, he was correct. Another fortunate thing for me was, except for doing crossword puzzles for a few days, I had no lingering problems from the anesthesia that would keep me from exercising. I was discharged from the hospital on Tuesday, Dec. 8 and we stayed in NYC for 2 nights. My wife and I walked a few blocks both days going to and from restaurants. Nine days after the surgery I walked a mile and within a few days was walking 2 miles almost every day. By the end of December I was walking up to 4 or 5 miles most days. After my follow up with Dr. Stelzer on January 5th, I began to add in easy running into my walking routine. I would walk a mile, run a mile, walk a mile, run a mile and then finish by walking another. By the end of January I had gotten to the point where I was running 3 consecutive miles sandwiched in between a warmup and cooldown mile. I have been doing this every weekday since January 27th. After my cardiologist checked me out at the end of January, he gave me the OK to start some light weights. I have been doing this 3 times a week since. Something to note here, I have been doing all of this inside a gym since mid-December to avoid the slippery sidewalks in upstate NY. I know that I am probably on one end of the spectrum of cardiac recovery. I was very fortunate to have been able to stay in good shape right up to the day of my surgery. I’m sure that this helped me come through over 3 hours of bypass and 5.5 hours of surgery. I was also very fortunate to have had some of the best care in the world. But as you say, when one is ready for cardiac rehab is a very individual thing. I do know that exercise is a good counter punch for depression. I didn’t have any problem with depression after the surgery and perhaps the exercise helped. My suggestion is to start your cardiac rehab as soon as you and you doctor think it’s OK. From my experience, start as soon as you can. I had aortic valve replacement & a single coronary (mammary) bypass on Oct 28 last year. I too overdid my walking after surgery (although not as much as you did) & experienced dizzy spells. I started my rehab 6 weeks after surgery & am still in it. I go MWF (3 times a week). They started me out on the treadmill at a fairly low pace for 30 minutes (I now go at a pretty good pace). You are hooked up to an ECG monitor & they check your blood pressure during exercising. I then ride a stationary bycycle for 10 minutes. I am also lifting some weights. I really have liked it, especially being monitored so well. I had atrial flutter following surgery & I could monitor my ECG & see the flutter. After New Years, when hooked up, I saw that my A-flutter was gone. That was a nice surprise that I would not have known had I not been in rehab. I hope this gives you some idea of what rehab can be like. I was allowed to start at 6 weeks after aortic valve replacement but that was riigt after Xmas so I had to wait because of insurance so at abt 8 weeks I started. I am 45 Nd couldn’t wait to start. I was jus a bit apprehensive at first but am totally enjoying my group. I am the only female in the group and have a great time with the men! They are full of info and encouragement. I highly recommend this because they would alleviate any concerns I had any strange feelings I had well they would help me lettin me know it’s normal. I had mitral valve repair minimally invasively (DaVinci Robotic) on December 15th, 2009, and I am starting cardiac rehab next week on 2/23/10. I could have started about 2 weeks ago, but I needed financial approval to do it and they were booked up for initial visits until then. Being 2 months out, I am realizing that this is probably the best time to do it, because my body is stronger and I have more stamina, so I think I will benefit more from the rehab. I am looking forward to learning how to build up the strength in the muscles on the right side of my chest and also my right arm, which is the side where the incision was made. If I had done it 2 weeks ago, I am now realizing that I would not have been able to do as much as I think I can now. I’ll let you all know how it goes! The one thing I think I would want to say about cardiac rehab is be patient with yourself and allow your body to heal. I have many people around me who remind me that it has only been a short time since I had MAJOR HEART SURGERY. It helps so that my expectations of where I should be are not as high and I don’t get frustrated. I started cardiac rehab 3 weeks after my surgery. The RN was very cautious to make sure I was not doing too much and was experienced with appropriate exercise for each individual case. The other big thing with having the monitored class is that heart rate and rhythm are monitored by the nurse. I know that it helped out with diagnosing my problems with tachycardia. She was also able to catch and record arrhythmia problems in other patients. It is certainly worth having someone that is skilled in teaching exercise to patients with OHS and keep an eye on any problems that may arise, we cannot do that on our own. Everyone has their own pace, but I was glad to be out and starting so soon after my surgery. I was expected to return to work within a couple of months and needed to get up and moving. I also enjoyed the social networking even though most people in the class were twice my age. I am a 58 year old who was released from the hospital on Sunday May 3rd 2009, seven days after bicuspid aortic valve replacement, aortic aneyrism repair and one bypass. That following friday I started cardiac rehab. I checked out two local cardiac rehab centers and am glad I chose the one that got me back up to speed quickly without under or over exerting me. I visited both places before surgery and it was very evident which one was the most progresive and was able to meet my needs. It seemed my 36 sessions were over in no time. During the course of rehab I walked a 5K one month after surgery, a 4 mile run-walk two months after and ran a slow five mile race three months after surgery and a couple of weeks before the end of rehab. I had no idea how hard to push it, but these knowledgable professionals did an excellent job of guiding me through rehab without coasting or hurting myself. I am now thinking of asking for their guidance as I train for my first marathon, Grammas in Duluth MN this spring. I really think you should start rehab as soon as possible to get the guidance you need to get up and going. The faster you move foreword, the sooner you can look back and say ,”that wasn’t so bad”. I had surgery to repair my aortic valve on October 28, 2009. I began cardiac rehab on November 17. I went to rehab 3 mornings a week and walked on the treadmill. I started at 20 minutes, and eventually progressed to 45 minutes. I wore a heart monitor during exercise, and had my blood pressure checked several times during each session. I completed 18 sessions plus 4 classes related to healthy eating, weight control, proper exercise, and stress management. My final session was December 30. I continue to walk on a treadmill at home, and I was able to return to work full time on February 1, 2010. I am three and a half months after bicuspid aortic valve replacement, aortic root replacement, and extensive ascending aorta grafting for what my doctor describes as a “big” aneurysm. I will begin cardiac rehab in about ten days. I was ready to start earlier, but this is when they could schedule me. I’ve been walking and riding my exercise bike, so I’m certainly not sedentary. I’ve been back to work for a month, and it’s been an adjustment. Although I don’t work what are normally considered full time hours (I teach in a college) I find that I am very tired by the end of the week, to the point that my husband was concerned enough about me to insist that I talk to my doctor, who scheduled an echo, chest x-ray and blood work. Everything is fine; I’ve just been overdoing it. I’m looking forward to cardiac rehab; I know how to exercise, but I don’t know how to exercise as a heart patient. And I definitely will benefit from the help of a nutritionist. I had valve replacement and repair in Sept of 2008. I am doing great but I have some lingering side affects(I think). Everything I read on the internet points to TIA’s and Carotid Artery Dissections. I am wondering if any of your readers suffered from either of these and if so what the treatment plan was? My symptoms are more bothersome than anything, double vision, vertigo, head ache. I just don’t want a underlying problem to go unnoticed. I completed 36 visits,,,now have joined same fitness center, surrounded by same wonderful staff who monitored that part of my recovery. I had a Ross Procedure done on September 17th, 2009. I was in the hospital for 6 days. I had one day of rest at home, and I went to Cardiac Rehab the next day. I went 3 days a week for 2 months. I walked 3 miles a day on my off days. I returned to work on week seven. I slept in my recliner for a couple of weeks as well. As the healing process continued, I was able to sleep in bed. I am a firm believer in Rehab. But as all of us know, that the healing process is a personal issue, and no one recovery plan is for everyone. And it is important to recognize how active your were before your surgery, will determine how active you will be afterwards. Does recovery at home mean you need a nurse or caretaker? 2, What do you do if you have a back problem and use a walker to help walking? Are you able to drive yourself to rehab? I’m 81, live at home alone, drive to gym, shopping, doctors, etc. Ought I plan for a month or so of no driving? Does this mean I will need full time caretakers? Or, do I stay in hospital all the recovery time? I have aortic stenosis. TX. I had my mitral valve replaced with the mechanical ON-X on 1/4/2010 and started my rehab on 1/29. I go 3x a week and wish I could go more, but my place is only open M-W-F. Attending the rehab has helped me immensely. Since they monitor my blood pressure and am hooked up to a heart monitor I don’t have to worry if I am pushing myself. They will let me know! So far I haven’t had any problems with my workouts. Sometimes I feel like I want to do more than the 20 minutes ea on treadmill and cycle, but they know best. I think I will be able to do some bicep curls today after my workout. I strongly recommend cardiac rehab for anyone who has had heart surgery or a heart attack. It’s good for your heart and soul! I started my formal rehab program at the hospital eight weeks after the surgery. It allowed me to rehab in a controlled, heart monitored environment and gave me more confidence that what I believe I would have felt on my own – it pushed me harder and farther that I thought I could do safely. Even during rehab, I had a couple bouts of A-fib which were recorded and monitored for my cardiologist. I strongly recommend cardiac rehab; it caused a mental and physical boost in a very supportive environment! After reading “Patient’s Guide” prior to my surgery (aortic valve replacement) the event I looked forward to most was rehab. In many ways my rehab began the morning after the operation when the therapist arrived at my bedside with a machine on wheels that allowed all of my tubes to move with me and monitor my vital signs and off we went for a walk on the floor. Great way to meet your fellow patients. I used this device every day of the four days I was in the hospital. 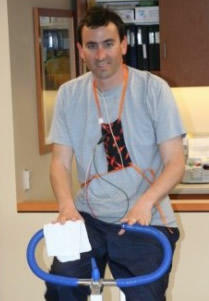 As the tubes were removed I was able to take it out for a spin on my own so my “walks” increased to 2 or 3 a day. My formal rehab began five days after I was released from the hospital and continued (three sessions a week) for 10 weeks. I credit it for helping me recover quickly and strongly…. both physically and mentally. Thank you Adam, for planting the seed! I am a cardiac rehab professional and have worked with many different types of heart patients. I usually encourage my patients to have at least two weeks of rest/recovery time at home before we set up their first appointment but this varies as many patients go home with nursing home health. Insurance will not cover CR and home health at the same time so that makes a difference when deciding to start rehab. The most important thing to remember is that the time in between hospital and rehab shouldn’t be idle time. Research has shown that doing something, even if its just short walks a couple of times a day, will encourage your heart to heal and become stronger. But it is not necessary to push yourself. The cardiac rehab professionals should be able to help you understand how intense your activity should be, even before you leave the hospital. I had my aortic valve replaced on November 2, 2010 and started Phase II Cardiac Rehab on December 1, 2010. I’m a 57 year old male and was in fairly good shape before the surgery. One thing that is surprising is how much better I feel now with the new valve. My chest has been a little sore since starting the rehab, but it is getting better every day. The rehab is great as it does allow me to see how much I really can do while in a supervised setting. I had an aortic valve replacement (bovine) last Valentine’s day (I thought that was an appropriate day to have it done). I was 59 at the time. Like most, I presume, I was up and walking (SLOWLY) the day after surgery. After getting home I walked on a treadmill increasing longer every day starting at 5 minutes. After 4 weeks I was walking a mile a day (slowly, around 3.0 mph). I started cardiac rehab at one of only two certified centers in Colorado at 6 weeks after surgery. I returned to work (desk job) 8 weeks after surgery. After 36 sessions at rehab (3 times a week, plus 2 days a week at the facilities at work) I “graduated. It’s been about a month since then and I’m running 3-4 miles 3-4 times a week. I’m feeling great. I started cardiac rehab 2 weeks after having my aortic valve replaced with a bovine tissue valve. I was weak at first, but the rehab nurses were great and started me out slowly, always monitoring my heartrate and blood pressure. My heartrate was fast for a few months after the surgery, even resting, so I was told to keep it below 140 bpm. I am 56 and I credit cardiac rehab with my rapid recovery. It was very uplifting to exercise with others who had had various heart problems, and we had a lot of fun. It was also good to get out of the house and have a schedule to maintain in those early weeks of recovery. I went to rehab 3 times a week for 3 months and loved it. Incidently, I slept in a reclining chair for a month after the surgery because it was so painful to lie down, so I certainly had a lot of pain in the incision, but that didn’t affect doing the cardiac rehab. I think the exercise released endorphins which helped with pain management. I started rehab 8 weeks after mitral valve repair. The nearest program was 25 miles away so I only went twice a week. I am a 60 yr old exercise nut, so I was in very good shape before surgery. The program was geared more towards bypass patients who were not very active, so after doing their (to me) very tame routine for 2 weeks, my rehab nurse let me make up my own program. For the next 2 weeks, I brought in my most intense workout videos to see where my BP and heart rate would be if I really pushed myself. Turned out my other body parts (knees etc) gave out before I could get my heart rate over 85-90%, so I knew I wasn’t going to hurt myself excerising unmonitored at home. After that, I saved the driving time and exercised at home. For me, the benefit in cardiac rehab was the reassurance of being monitored during intense exercise. All the other patients I met were pretty elderly, both chronologically and mentally, so I had no further motivation to continue and I stopped at about 12 weeks post-op. I am now 14 months post-op and still exercise 7 days a week and feel great. i had a tumor inside my heart that was removed exactly 12 weeks ago today! i actually just began my twice weekly rehab 2 weeks ago…around the 10 week mark. If the cardiac rehabilitation program I am involved in is any example of programs elsewhere, there should be a lot intensive investigation of them. Blood pressures are inaccurately taken by R.N.s, patients are not evaluated by physical therapists before initiating the program, the equipment is designed, mostly for men, there is no privacy for relaying concerns, and, as is noted in the comments, there are the “exercise nuts” who were in such great shape to begin with… it is NOT motivating to see patients new to the program running marathon’s on the treadmill, and, I would think, not even wise. But no one is going to investigate these programs or evaluate the staff. And they wonder why there is such a high drop-out percentage. I think cardiac rehab programs are, by and large, pitiful. Shoot now what do I do? 5 weeks after combo Septal myectomy and Aortic valve replacement I was told to go cardiac rehab. Never been in a gym in my adult life why start now. Hello everyone, especially you Adam…. My bypass, aortic valve replacement, left atrial appendage clip, ablation, hole repair surgery was April 21st, a Friday, and I was discharged the following Tuesday. I was told they had to do far more, once they got in, than they had planned, but that I tolerated the surgery very well, didn’t need any transfusions, and came out from under the anesthesia very quickly. As to Cardio therapy, I start tomorrow, which will be 3 weeks from surgery. The day after I got home, I was walking to the end of the driveway, not very far, but today I did 3/4 of a mile, I’m doing the walking very slow, not trying to break any records. My surgery was done by a brilliant surgeon here in Memphis, Dr. John Craig, as part of Baptist Cardiac Institute. My understanding from my reading, is that normally a post OHS patient will be asked to start rehab after a month to six weeks, in my case, it’s gonna be 3 weeks. I’m off prescription pain meds, can move around okay, chest and harvest site still hurt a bit…..
Is 3 weeks too soon, generally speaking? Thanks to all on here from which I’ve drawn much inspiration and have had many questions answered. I’m with ya brother…..never really went to the gym, but was always active. 66 now. Ask yourself…..never been to a gym, but then, I’ve never had open heart surgery before either. I don’t start mine until tomorrow so this note is conjecture on my part…..what have I got to lose, I ask myself. I’m going, and if it’s a bust, I will find an alternative path to get back to better than before. Thank you for the clarity…. Good luck Wally you will be fine. I started at around six weeks post surgery once I was released to drive. I had a mitral valve repair and a single CABG via full sternotomy at Cleveland Clinic by Dr. Marc Gillinov but live in WV so my rehab was here. Best thing I ever did. As Adam said it made my residual pain (mainly in my shoulders) go away. I still work out at the Wellness Center where I did my rehab since they allow former patients to pay and join. I am coming up on five years post surgery and do the equivalent of 6 5K’s per week on the treadmill. I go 3X per week and do 6.5M @ age 65. Not sure if I can do 7 Miles at age 70 and so on but that’s the plan! Actually…..I ended up taking myself out of the rehab…..to structured and too far away. I’m starting at the gym next week, which will be 11 weeks and I’ve continued to walk. Other than gaining 20 pounds….all is well. Cardio-rehab is the best and for all of the reasons Adam gave! I am fortunate to have had a great recovery so far (3 months). I began rehab @ 6 weeks after surgery when I finished the home visits and physical therapy. Each is different, but you will find encouragement and comraderie. I am an active, physically fit person, and my physiology therapists work with all the patients to challenge with caution and build strength. I had a calcified congenital bicuspid aortic valve replaced by a pig valve, here in Italy where I live, on May 31st, 2017. On June 6th I was taken to cardiac rehab, which was required of all patients who had open heart surgery. We had to stay there for 20 to 30 days, doing an hour of exercise am and pm, under the direction of a group of physical therapists. Blood pressure was checked and the heart was monitored during the exercises. EKGs and echocardiograms were done several times a week. Medications were prescribed for atrial fibrillation and other arrythmias. The beds were hard and narrow, and having to sleep on my back in order not to disturb the healing wound aggravated the back pain I already had before the surgery. This may have impeded the benefit I was able to get from the exercises. Everything was totally “free”, paid for by taxes of course. Now that I am home, living 200 yards from the sea, I do exercises in the water for an hour morning and evening. Started cardiac rehab 5 weeks post-AVR but waited to week 9 to start using arms owing to sternal restriction. I love rehab. Really turned the corner and started feeling great when exercise began.